In 1874 John was moved to write a very long letter to the editor of the Cambrian newspaper, dated 18th March, concerning the impending election of Guardians for the hamlet of Rhyndwyclydach. At the time, the local administration of the Poor Law was undergoing change with the reorganisation of some of the Union boundaries. As a result, Rhyndwyclydach (and the Mawr parcel of Llangyfelach parish) were to move from the Swansea Union to form part of the new Pontardawe Union, alongside Llanguicke, Ystradgynlais, Cilybebyll and Ynysymond. In his letter, John appeared concerned that there was a movement by some local ratepayers to elect "new blood" to the new board of Guardians - at a time of great administrative upheaval. He urged forebearance and suggested that for the time being at least, it would be wiser to re-elect candidates with relevant experience. He was also anxious to avoid unnecessary expenditure on the process of an election. In February 1875 the Cambrian reported that John was present at a meeting at St. John's school in Clydach where it was proposed that a School Board be set up for the hamlet to administer the schooling of local children. In April of the same year John was elected (along with Zephaniah Evans and Daniel Jones) to represent Rhyndwyclydach on the newly formed Pontardawe Union Board of Guardians. 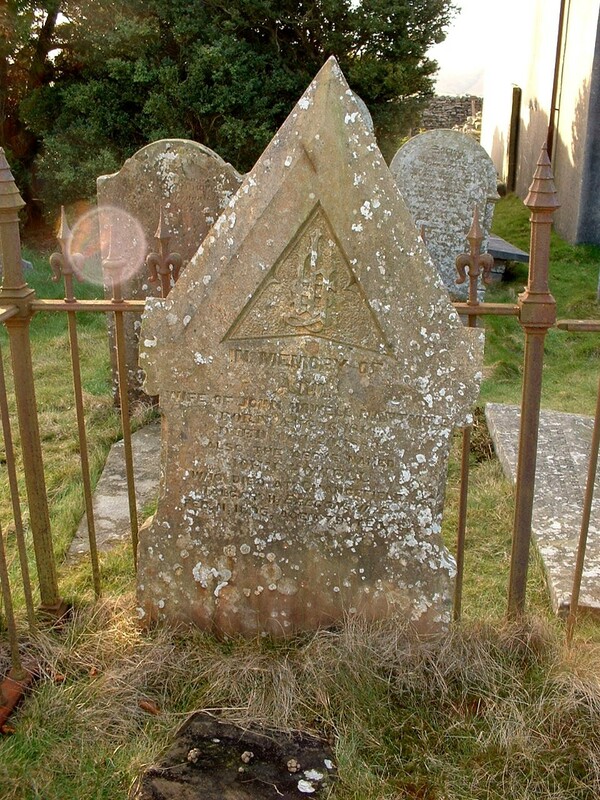 On 20th October 1880, John's wife, Ann died aged 64. She was buried at Baran burial ground next to her children, Roger and Jennet. The census of 1881 finds John lodging with daughter, Sarah Elizabeth and her husband, Morgan - who have apparently "retired" to Gelly Villa in Morgan's home parish of Llanedi, Carmarthenshire. His ledger records that he paid his hosts �4 per half year for "my place at Gelly House". Also in the household in 1881 is John's 3 year old grandson, Griffith Morgan Roberts. Griffith is the eldest child of John's youngest daughter, Mary Jane who married John Roberts of Llandilo Talybont on 9th September 1875. From the evidence of the censuses, John's daughter, Sarah Elizabeth does not appear to have had any children of her own but often seemed to play host to her various nieces and nephews. In this census Nantmoel Uchaf is now occupied by a John Davies and his family who are John's tenants. John appears to have remained at Gelly Villa with Sarah and Morgan Powell. The ledger entries suggest that his health may have deteriorated during the last decade. His handwriting appears to have become increasingly "shaky" and on occasions, the entries have been written in his name by another hand - indicating that he was unable to do so himself. On 29th September 1890, Morgan died aged only 53. The 1891 census records John and the now widowed, Sarah Elizabeth living together at Llanedi with another of Mary Jane's children. This was Mary Jane's eldest daughter, 7 year old Sarah Elizabeth Roberts (obviously named for her aunt) and later known as Bessie. John Davies and family are again enumerated at Nantmoel Uchaf. A year later, on 14th September 1892, Sarah Elizabeth remarried - to a local widower, Thomas Owens, Cae'r Coryn. Perhaps prompted by this new marriage, at some point John left Llanedi to stay with Mary Jane at her home, Chancefield at Talgarth in Breconshire. 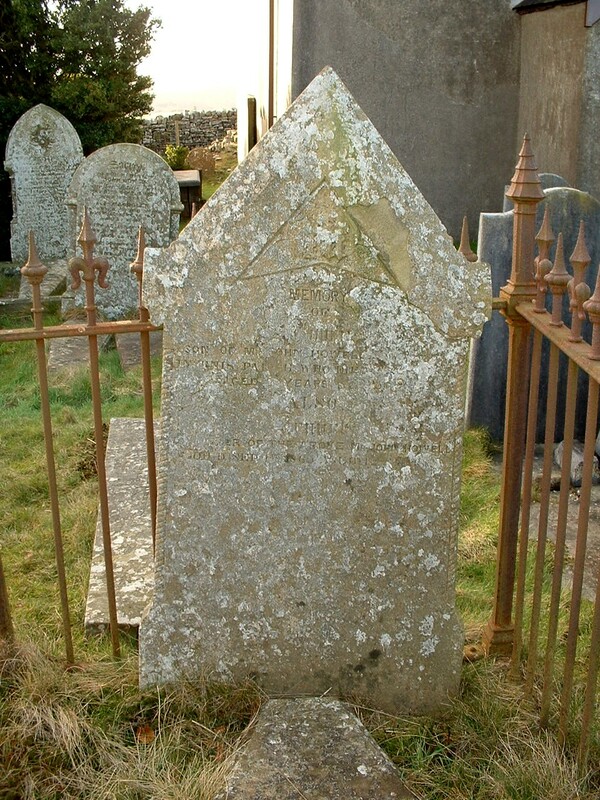 He died there on 11th February 1895, aged approximately 79 years and was buried with Ann and his children back on Nantmoel Uchaf land in the Baran cemetery. In his will, John bequeathed his estate to be divided equally between his 3 surviving children, his daughters, Ann, Sarah Elizabeth and Mary Jane. By this time Ann had emigrated to Denver, Colorado with her husband, Joseph and family. On the 14th day of May 1895 Probate of this Will was granted at Hereford to Sarah Elizabeth Owen (wife of Thomas Owen - theretofore Powell wife of Morgan Powell) and Mary Jane Roberts (wife of John Roberts) the Executrixes. The graves of John & Ann Howell and their children, Roger & Jennet which lie side by side at Baran cemetery, enclosed by railings..
By the census of 1901, Sarah Elizabeth and her husband, Thomas Owen were living at Nantmoel Uchaf, while Mary Jane remained at Chancefield. Obviously the sisters must have reached an agreement as to Sarah's occupancy of Nantmoel Uchaf, and when Sarah and Thomas later retired to Brynwith, Mary Jane and her husband moved into Nantmoel Uchaf. It was their descendents who remained at Nantmoel until it was finally sold out of the family. As John had no surviving male heir, this branch of the Howell surname died with him.